What is a Pitch and…what is the Pitch Diameter? In order to understand the pitch diameter, one must first touch on the pitch itself. The pitch is the distance measured along an axial plane, between a point on one thread and a corresponding point on the adjacent thread. The pitch diameter, also known as the effective diameter, is the imaginary half way point of the thread form and is based completely on thread features, the thread groove – or minor diameter and the thread crest – or major diameter. 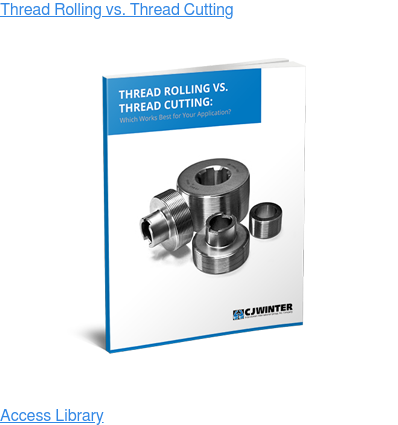 To calculate the pitch diameter, one must imagine a cylinder whose diameter exists at the point where the thread groove width and the thread crest width are both equal to one another and equal to half the nominal pitch of the thread. The diameter of this imagined cylinder is the pitch diameter. What is a Major Diameter? The major diameter is a diameter that can be measured from two points. It is the diameter of an imaginary cylinder formed around the crest of an external thread. 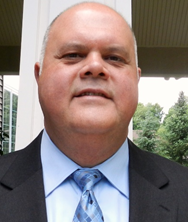 What is a Blank Diameter? The blank diameter is the diameter of the part onto which the threads will be rolled. This diameter is typically equal to MAX thread pitch diameter less .002 inches [or .051 MM]. Blank Diameter = MAX thread pitch diameter - .002 inches [or .051 MM]. Until the minor diameter is below the blank diameter, the material displaced by the rolling process will be displaced onto the adjacent thread, above the blank diameter, to form the major diameter. 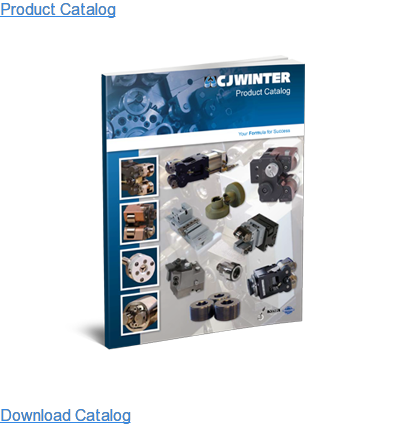 CJWinter has continued to work to produce content and assets to aid in your thread rolling processes. Our most recent project is our Pitch and Blank Diameter Calculator. 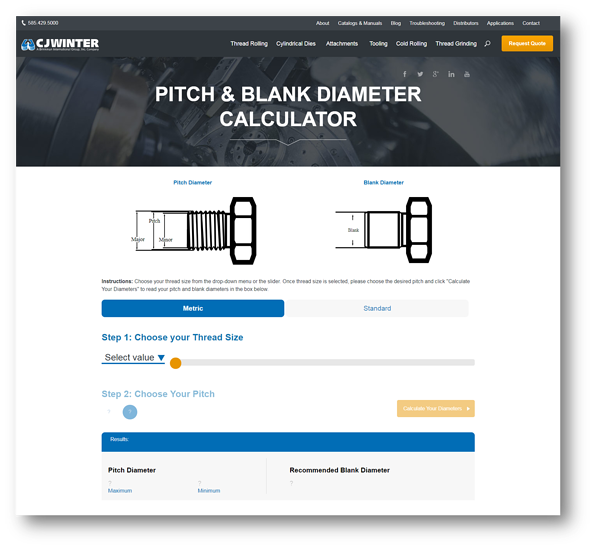 The Pitch and Blank Diameter Calculator is designed for end users to enter their thread size (in either metric or standard measurements) and their pitch value, and receive the maximum and minimum pitch diameters as well as the recommended blank diameter for the specified thread and pitch they are producing. We're excited to be unveiling this new tool. Click here or the button above to start calculating.